Every now and then, we experience battles in Clash Royale with one or more Legendary Cards. The reason being, more and more players obtain Legendary cards each day. It’s no surprise that players will use them because they are all strong and have their own unique ability. They are rare to get that’s why not all players build decks that are equipped to counter them. However, as you go to higher arenas, it is more likely to face legendary cards more often. Legendary cards are rare cards that can be obtained from any type of chest. You can get it even on your daily Free Chests and Crown Chest, if you’re lucky. But mostly, players get it on a Super Magical Chest or those who are in the Legendary Arena can purchase the Legendary cards. The availability of the legendary cards at the shop for legendary arena players will give them the opportunity to level up their chosen legendary cards, than to rely on luck in Super Magical Chest. Currently, there are 5 legendary cards in the game. The first two that was introduced was the Princess and Ice Wizard. 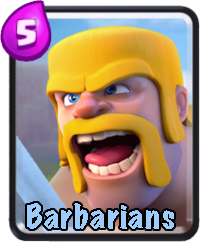 Later in the game, in the May update, 3 new legendary cards was added. They are the Lava Hound, Miner & Sparky. All of them are strong in their own way. They offer unique and powerful ability that can give you an absolute advantage to your deck. The Princess is considered to be the top choice of legendary card among the rest. All because of her 9 tile range, splash damage that targets air and ground units. She also comes at a cheap cost of 3 elixir. She’s very flexible to use and can fit to almost any deck out there. Even when used solo, she can destroy the Arena Tower without getting hit. She is definitely a strong card that you must pay attention to. The best way to counter her is to use Arrows Spell. Her health is very low and will instantly kill her. It will give you an even trade because both cards cost 3 elixir. The downfall is that you don’t have Arrows Spell until the next rotation to use. This will lead you open for Minion Horde or Goblin Barrel attacks. Best thing to do is to wait for the Princess to move forward so that the next card that your opponent will deploy can get hit by the Arrows. Another way to counter her is to have a tank in front for her to focus. 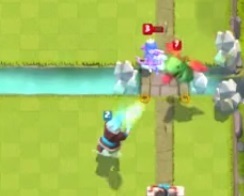 While the Princess is attacking the tank, use this opportunity to place your ranged troop in a safe distance to target the Princess. After killing the Princess, prepare to push with your deployed tank. The Ice Wizard is one of the best support in the game as because he’s the only troop that can slow down enemy’s attack and movement speed. Same cost with the Princess, the Ice Wizard only cost 3 elixir to use. He is also a flexible card to fit in any deck and work as a supportive troop than an offensive damage dealer. Compared to the Princess, the Ice Wizard has good hit points, which can survive enemy Fireball. It’s really hard to make a push if there is an Ice Wizard slowing your troops. One of the best way to win against Ice Wizard is (1) let your opponent attack first for you to counter attack and (2) split pushing. Because of the Ice Wizard’s slow, your opponent can wait long enough for his elixir to generate to counter your push. Thankfully, the damage of Ice Wizard is not high. He’s just going to be an annoying card that slows you down. 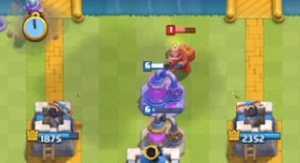 If you can counter the enemy’s push and win the elixir trade, you can easily push the tower and win. Just pay attention to your enemy’s deck and check his offensive cards that can pose threat to your deck. The Lava Hound is a tank, flying troop that transforms into Lava Pups, after death. These Lava Pups are similar to Minion Horde and deal targets any building and troops, unlike its first form that only targets buildings. It cost 7 elixir, which is the most expensive legendary card to use. Because of the Lava Hound’s high elixir cost and low damage, she is ideally deployed at the back of the Towers to regenerate much elixir to deploy another troop as a support. Knowing that, you can prepare for your counter attack as soon as you find your opponent deploy it. 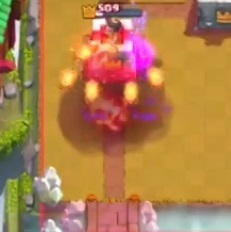 There are 2 ways to counter the Lava Hound. One, counter push. Since the Lava Hound has a high elixir cost of 7, it is enough to push full force in the opposite lane. 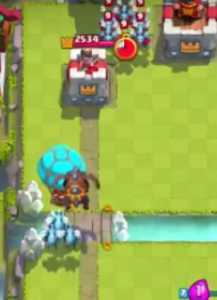 The other way to counter the Lava Hound in circumstances when you don’t have enough elixir or troops to make an effective push, is to have Infinity Tower and Arrows Spell. The Infinity Tower will easily destroy the hit points of the Lava Hound and the Arrow will wipe off the Lava Pups. The Sparky has the most damaging attack in the game that can destroy anything on its path (well, except for flying troops). Currently, the Sparky is the top highest damaging troop in the game. It can destroy tanks and towers easily with just a few shots. It also has a good amount of hit points. However, the main downfall of the Sparky is that it has to charge for 4 seconds before dealing damage. There are 4 ways to counter the Sparky. First, use a swarm troop. Swarm troops that are placed in front of a charging Sparky is not the way to use it. Ideally, place the swarm troop (Goblins, Skeleton, Spear Goblins) at the top of the Sparky. It will surround it in 3 different direction, wasting an attack from the Sparky. Now, the problem is that the Sparky is usually accompanied by splash damaging support like Wizard and Fire Spirit. You have to consider this first before placing your troops. It will be useless if the Wizard/Fire Spirit will just kill your Goblins. 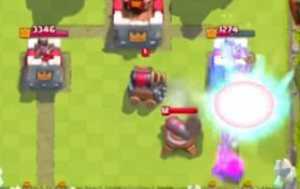 The second way to counter the Sparky is to use flying units. However, be aware that the Sparky will still continue to forward and attack your tower. Third way is to use spells. The best way to counter its attack is to use Zap. Using Zap to the Sparky will reset its charge again. You can use this to your advantage to attack it while it’s still charging. Using Freeze Spell is another alternative if there is a strong push from the enemy’s troops. 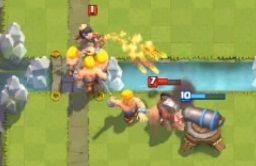 Using a Freeze with a Valkyrie, Barbarians or Minion Horde will easily counter their push but it costs a lot of elixir to get the combination work. A high level Rocket can also destroy a Sparky. 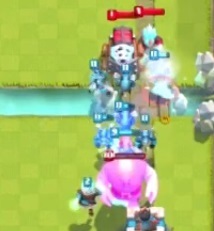 If you can hit the Sparky with the Arena Tower, that’s an even better trade for you. And lastly, you can use buildings as a distraction. 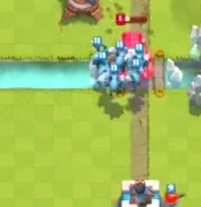 If you have a Cannon, Tesla or Bomb Tower in your deck, you can use it as a distraction for the Sparky’s attack. 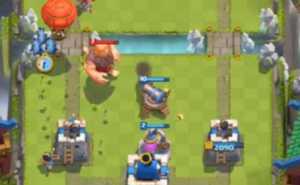 Especially when the Sparky is placed behind the tower, you have to wait a while and use your buildings as a defensive strategy. 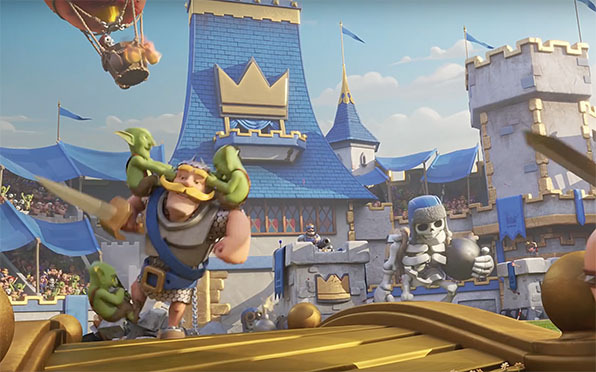 Swarm buildings like Goblin Hut, Barbarian Hut, Tombstone and Furnace can also be an effective distraction against the Sparky. The Miner is a legendary card that possesses good amount of hit points and an ability to be deployed anywhere in the arena, which works similarly to Goblin Barrel. It is the same cheap cost of 3 elixirs like the Princess and Ice Wizard. He can get to destroy buildings and towers easily or can target squishy troops behind the tank. Swarm troops like Goblins, Minions and Skeletons can easily counter the Miner from dealing enough damage to your buildings/towers. Placing your building in front, between the two Arena Towers will make your opponent think twice before attacking your building. If he pursues the building in the center, the two Arena Towers will kill the Miner easily. Another thing to remember is that the Miner deals reduced damage to Towers. That’s why it’s more important to focus on it’s follow up troop to kill, first. 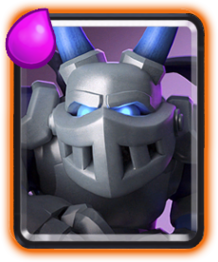 The Miner can serve as a tank while his Goblins/Minions will deal much damage to your tower. Always save a swarm troop or a spell like Zap/Arrows when your opponent decides to split push on the other lane. Legendary cards have it’s own strengths and weaknesses, just like any card in the game. Having a well rounded deck will help you counter them. While you battle against your opponents, pay attention to the cards they deploy so you can always save a card to counter them. Timing is also crucial especially when fighting against the Sparky. A small second of delay can ruin your opportunity to counter your opponent. It happen to anyone. And even if you lose some battles, you can always play again. 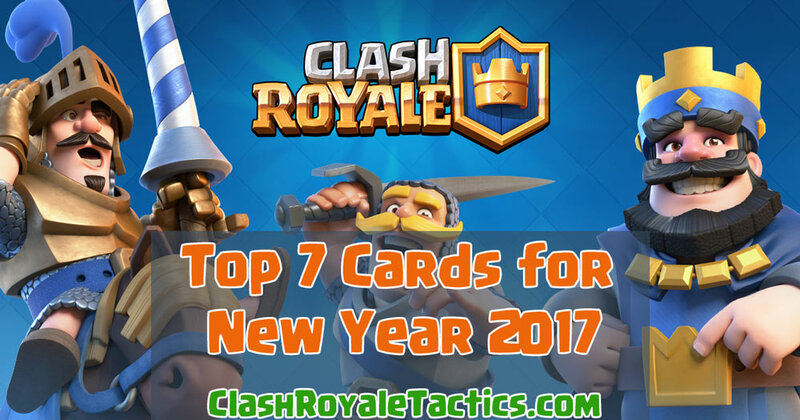 Update The top cards list for July please.